With a constant stream of people coming through the house, I used a break in the viewings to start dismantling the dry bed. 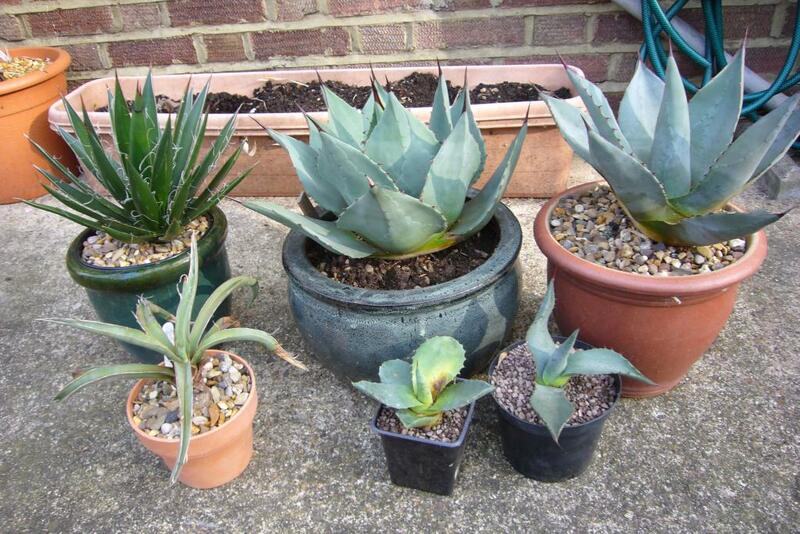 The agave section is the first to go, this was it this morning. I thought it was best to start with the smallest plants first and work up. 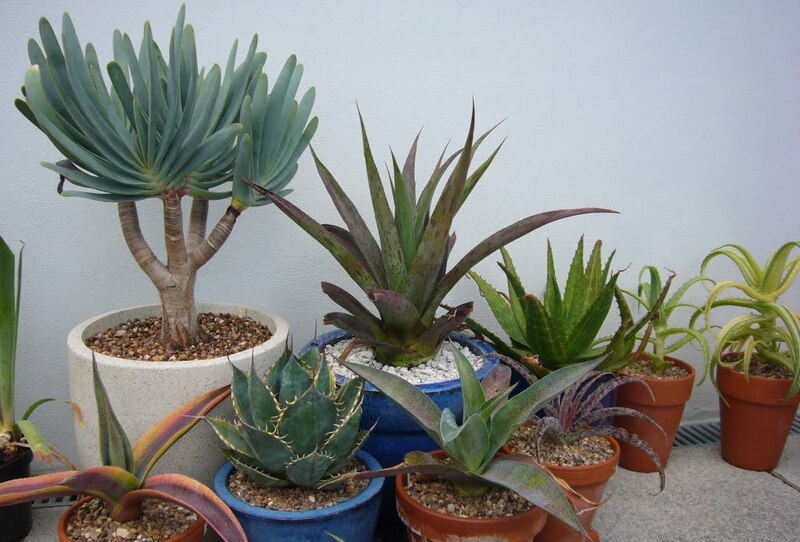 This lot came out in about 1 hour, being planted in almost pure gravel makes removing them really easy. 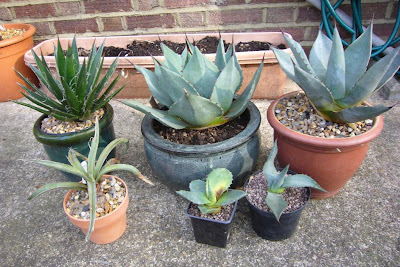 There was one pup from each of the agave parryi, you can clearly see the difference in colour and shape now, they looked almost identical when planted. The bed is already looking much emptier. 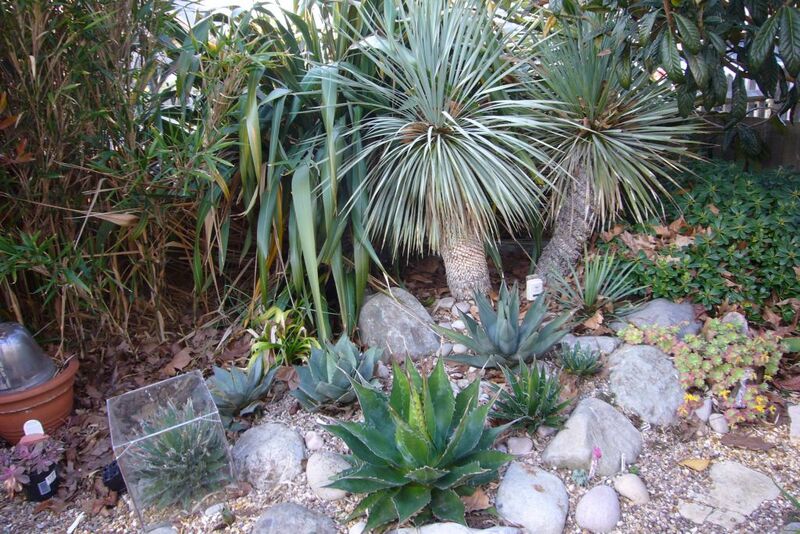 I'll do the rest of the agaves, the filifera, nigra and montana next and then I will have all the space I need to take care as I dig out the yuccas. Given how much time it took to design, build and plant up, not to mention the time I have spent protecting it and removing leaves, I have mixed feelings about the speed with which it is can be dismantled. They do come up much quicker than it takes to get them in, don't they! It's great that you're taking them with you! I couldn't leave them behind, apart from how attached I am to them, the next owner would most likely only dig them up and chuck them away! 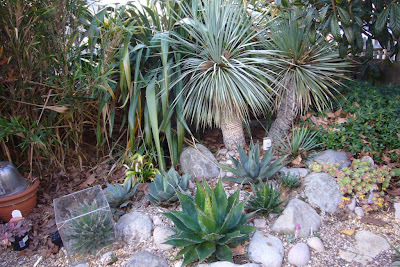 I don't envy you digging out those Yuccas...wear eye protection! Good point about the eye protection. OMG...such a massive task...and yes, so hard to do after spending so much time to keep it going over the years...good luck! Thanks Scott, It looks like it is going to be storage space / transportation rather than time that will be the issue. 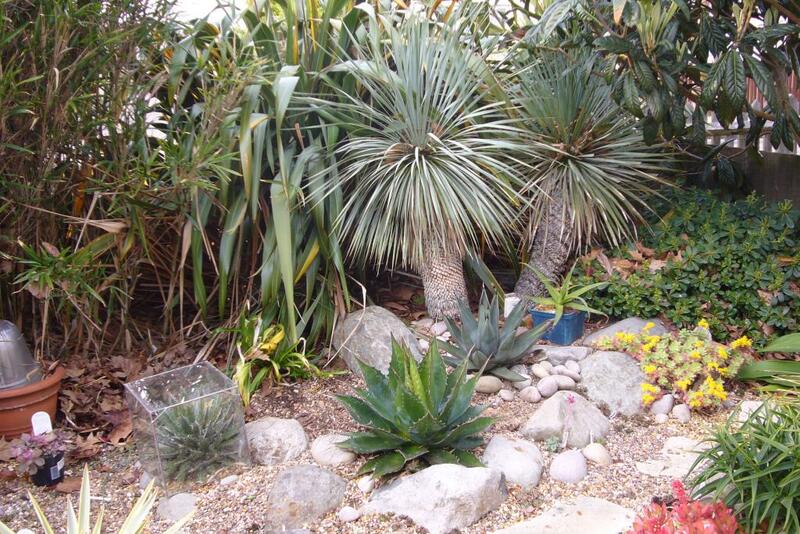 We will probably need a second removal van just for the plants.